The entire nation is mourning the sudden loss of Mr Gopinath Munde, a minister and senior BJP leader , who died recently in a traffic accident . The country has been deprived of the services of a senior political leader who could have been the next Chief Minister of Maharashtra . The major tragedy is the fact that the death was possibly preventable. It’s possible that if he had been wearing a seatbelt, his death could have been avoided . While we cannot reverse time or bring him back, the bigger tragedy is that everyone will grieve for a few weeks – and then forget the matter and life will carry on as normal. One way we can transmute this tragedy into a constructive remedy is to learn a lesson from this and enact the Munde Seat Belt Law. 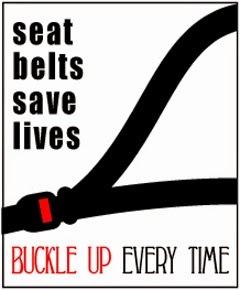 By passing this law, we will be able to sensitise all car drivers and passengers about the need to wear seat belts. This law will make it compulsory for people to actually wear a seat belt, until it starts becoming so engrained that it becomes a reflex action. While I do not like the idea of forcing people to do anything, sometime we need to use a stick to ensure compliance. The law could also ensure that people seated on two -wheelers would wear helmets; and that cycles would have working tail lights. This tragedy can serve as a catalyst and could be an opportunity to create something positive for the rest of the country , so that his death is not in vain. Not only will this law help to keep the memory of Mr Munde alive , it will help to galvanise us into action., so we can take a number of simple steps to improve not only passenger safety , but pedestrian safety as well. Hopefully , this will allow us to reduce the number of senseless and unnecessary losses of Indian citizens in this country.